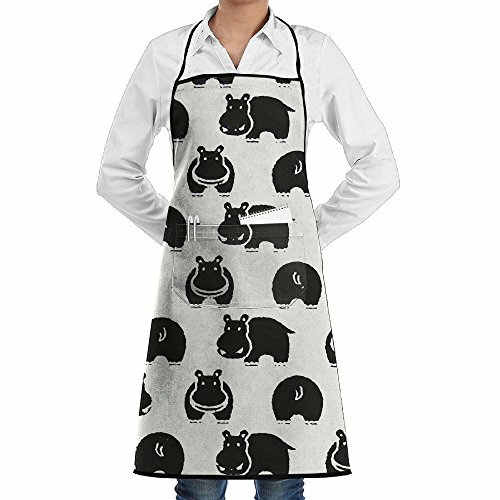 This Apron Is Perfect For Baking,cooking Grilling,and Barbecuing. Don't Forget Aprons Are Also Great Gifts For Crafters, Gardeners, And Painters. A Perfect Gag Gift For A BBQ Enthusiast Or Birthday Gift For The Gourmet In Your Life. An Apron Is A Thoughtful, Practical Gift. They Can Use And Enjoy For Years To Come. Fashion And Lovely Style,Beautiful Apron Makes A Great Gift For Christmas, Holidays, Mother's Day, Dinner Parties, Birthdays And Etc. Because Of The High Temperature Printing Technology, The Kitchen Apron May Be A Bit Hard, So Please Wash Before Use. We Are Quite Sure That You Will Be Super Impressed With The Quality Of These Aprons, The Fact That They Have A High Style Quotient When Compared To Dull-Looking Aprons, They Can Comfortably Fit Almost Everyone & The Convenience Added By The Pocket. NOTE - Recommended To Use Cold Water For Washing And That Too In A Gentle Cycle With Tumble Drying On Low. It Is Advisable Not Bleach Them Or Run Them Through A Hot Dryer! If you have any questions about this product by BOBIMU, contact us by completing and submitting the form below. If you are looking for a specif part number, please include it with your message.